Cysteine is a sulfur-based non-essential amino acid that is produced in the body from methionine. Like the rest of the amino acids, it is used to construct proteins, enzymes and in other various functions. The function that we are currently the most interested in is its relationship to glutathione, the master antioxidant. Cysteine is a necessary component in the manufacture of glutathione, which is among the most, if not the most, important antioxidants produced in the body, as it regenerates and maintains many of the other antioxidants. More information on the importance of glutathione in the detoxification process can be found in our other articles on CoQ10 and Glutathione respectively. While most people may get enough cysteine from their diet to merely scrape by, individuals with a great toxic burden caused by environmental exposure, or a less than healthy lifestyle, need a greater amount than their current diet is most likely providing. 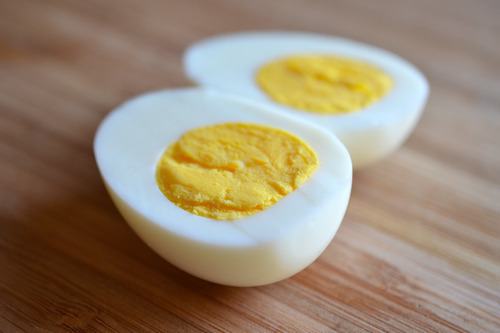 Eggs are the best source of sulfur-based amino acids, but with all the bad press about eggs increasing cholesterol, they have somewhat dropped out of favor. Including an egg or two with your morning breakfast is an easy way to add some cysteine into your diet. Back in the very late 1950s, researchers discovered that one of the forms of cysteine was incredibly effective at breaking up mucus congestion in conditions like bronchitis, pneumonia, cystic fibrosis, etc. It was called N-Acetyl Cysteine, or NAC for short. Around 1960, it was patented as an aerosol inhaler that is still used today. Since then, a much longer list of more useful applications for this form of cysteine have been discovered. In fact, it is used in the treatment protocol of the most common drug overdose scenario in the Western world. Acetaminophen (Tylenol) is typically safe at normal doses for most individuals. There are, however, a large number of cases where over consumption can lead to severe medical consequences. According to Wikipedia, acetaminophen, also called paracetamol, “ …is, by far, the most common cause of acute liver failure in both the United States and the United Kingdom. Paracetamol overdose results in more calls to poison control centers in the US than overdose of any other pharmacological substance. Signs and symptoms of paracetamol toxicity may initially be absent or vague. Untreated, overdose can lead to liver failure and death within days.” The standard protocol for treating the overdose is focused on removing the acetaminophen from the body as rapidly as possible. First, activated carbon (charcoal) is pumped into the stomach to neutralize and prevent further absorption of acetaminophen in the gut. Then NAC is used to rapidly boost glutathione levels in the body, which protects the liver from the acetaminophen and removes it from the body via the urine. The reason NAC is preferred over other forms of cysteine is its absorbability. NAC is more easily absorbed in all parts of the body than other forms of cysteine. Because of the addition of the acetyl group, this allows the cysteine to cross the blood brain barrier, enabling it to even increase glutathione levels in the brain where detoxification and free radical modulation are extremely crucial. It is because of this accessibility to the brain that researchers at Melbourne University in Australia conducted a double-blind placebo controlled study on the affects that NAC had on symptoms of schizophrenia and bipolar disorder and showed such positive results that the study is being replicated in other countries. It is also being studied on patients with obsessive-compulsive disorder, as well as more unusual mental conditions like excessive nail biting and hair-pulling. While not entirely a mental condition, those diagnosed with autism frequently have low levels of glutathione, resulting in higher levels of toxic heavy metals and NAC can be used to restore the much needed glutathione to help detoxify those heavy metals. In fact, NAC is so effective in boosting glutathione levels that some researchers are proposing that it be used as an antidote to methylmercury poisoning based on positive results in rodent trials. NAC doesn’t just help the liver when there is a real emergency, like acetaminophen overdose, but even in less dramatic circumstances like cigarette smoke and alcohol, both of which create an additional work load for the liver to process. Without sufficient levels of glutathione, and other antioxidants, the liver quickly becomes ineffective, and even damaged from these unprocessed, and partially processed, toxins. NAC helps to maintain adequate levels of glutathione, which help protect both the liver and the rest of the body from harmful toxins. It has also been reported that NAC is a real thorough housekeeper when it comes to helping people who smoke and drink since it even helps reduce hangover, as well as protects smokers from emphysema. Another well-known benefit of cysteine in general is that it is used in the production of keratin, the main protein in hair that keeps it strong and healthy. People who are diabetic should consult with a medical professional before taking NAC supplements since cysteine in large doses is capable of deactivating insulin to a degree that could cause complications in those who require larger amounts of insulin at greater sensitivity. Even if you are not diabetic, however, it is always a good idea to get the advice of a medical professional before taking any new supplement or medication to ensure that you get the most benefit out of all the wonderful new advances being made in alternative and holistic medicine.